The honorary appointment as a DFKI Research Fellow is an award granted to DFKI employees for outstanding scientific achievements and special accomplishments in technology transfer. The award is intended to support Research Fellows in their scientific careers and document their outstanding qualifications when applying for management positions in research and teaching. The criteria for appointment as a Research Fellow are based on the procedure for filling a W2 professorship at a German university. In recognition of his outstanding scientific achievements and their implementation in practice, Dr. Carsten Ullrich was named a DFKI Research Fellow on November 22, 2018. Dr. Carsten Ullrich received his doctorate in 2008 from the Department of Computer Science at Saarland University with a thesis on the application of AI techniques to formalize pedagogical knowledge for the automatic generation of learning materials; later published in the Springer Lecture Notes for Artificial Intelligence series. Also in 2008, Dr. Ullrich began a six-year stay at Shanghai Jiao Tong University as an associate professor / scientist. There he devoted himself to research in the field of web-based and mobile learning in adult education. From 2009 to 2013 he was the head of the SJTU in the EU IP ROLE (Responsive Open Learning Environments). In 2013, Dr. Ullrich returned to Germany to take up the position of Deputy Head of the Educational Technology Labs at DFKI Berlin. 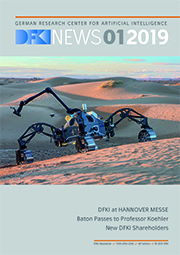 At DFKI he was responsible for a number of research projects in which architectures for assistance and knowledge services with applications in industry 4.0 and beyond were developed and brought into use. Dr. Ullrich's research is dedicated to intelligent working and learning environments, i.e. on the question of how the individual can be enabled to learn and work better through the application of artificial intelligence methods. He has published more than 100 papers on learning support, adaptivity, modeling didactic knowledge, and personalized learning environments – including articles in peer-reviewed journals and several books as author and publisher. In recognition of his exceptional scientific achievements, combined with outstanding achievements in project acquisition, Dr. Georg Rehm was granted the title of DFKI Research Fellow on October 30, 2018. Dr. Georg Rehm is Senior Researcher and Project Coordinator at the DFKI Language Technology Research Department. Furthermore, he is Secretary General of META-NET, a European network of excellence consisting of 60 research centers in 34 countries and, since 2013, he is also head of the German-Austrian office of the World Wide Web Consortium (W3C) based at the DFKI Berlin. Dr. Georg Rehm completed his studies in Computational Linguistics and Artificial Intelligence, Computer Science and Linguistics at the University of Osnabrück in 1999 with a thesis on discourse-driven automatic text comprehension. He received his doctorate in 2006 from the Justus Liebig University in Giessen on the automatic description and recognition of hypertext types using semantic web methods. From 2006 to 2008 he worked at the University of Tübingen, where he led projects in the SFB 441 (“Linguistic Data Structures”) on the sustainability of linguistic corpora. After working in a Berlin start-up, Dr. Georg Rehm moved to the DFKI in 2010 to take over the management of the META-NET network - together with its coordinator Prof. Hans Uszkoreit. Dr. Georg Rehm is author or co-author of more than 160 scientific publications. He is currently coordinator of the BMBF-funded growth core “QURATOR – Curation Technologies” (2018 – 2021) and the EU project “European Language Grid” (ELG, 2019 – 2021). Dr. Georg Rehm is also involved in the EU project “Lynx - Building the Legal Knowledge Graph for Smart Compliance Services in Multilingual Europe” (2017 – 2020). He is the DFKI representative of the World Wide Web Consortium (W3C) and a member of the DIN presidential committee FOCUS.ICT. Within the framework of the activities surrounding META-NET and the Human Language Project, Dr. Georg Rehm is in regular contact with the European Commission and the European Parliament. For his outstanding scientific achievements in the field of Ambient Assisted Living and theoretical work on knowledge processing combined with special achievements in project acquisition, as well as for the expansion of the Bremen Ambient Assisted Living Labs, Dr. Serge Autexier was named a DFKI Research Fellow on 14.12.2017. Dr. Serge Autexier received his doctorate in computer science from the University of Saarland in 2003. He has been working at DFKI since 2002, initially in Saarbrücken and made a thematic-related move to Bremen in 2008. He is Senior Researcher at the Cyber-Physical Systems Research Unit and since 2014 Head of the Bremen Ambient Assisted Living Labs (BAALL). Here Autexier conducts research in forward-looking projects on the topics of “Secure Digital Health Monitoring”, “Smart Home”, “Intelligent Assistance Systems” and “Self Verification of Electronic Systems”. In recognition of his outstanding scientific achievements in the field of Multimodal Multisensory User Interfaces, Dr.-Ing. Daniel Sonntag was appointed Research Fellow on November 24, 2016. Dr. Daniel Sonntag studied Computational Linguistics, Computer Science and Japanese at the University of Saarland and graduated there in 2001 with a thesis on automatic composite decomposition of German. In 2008 he received his doctorate in “Introspektive Methoden für adaptive multimodale Frage-Antwort-Systeme” (Introspektive Methods for Adaptive Multimodal Question-Answer Systems) supervised by Prof. Wahlster. Daniel Sonntag's special fields are intelligent user interfaces and information extraction from texts, images and sensors. On the one hand, as the complexity of applications increases, the aim is to provide multimodal, adaptive, mobile and sensor-equipped user interfaces so that they can adapt to people in the future and not vice versa. This applies equally to human-environment interaction, human-robot interaction and personal smartphone assistants. On the other hand, he aims to achieve intuitive operability through the combination of semantic technologies and machine learning (such as commonsense reasoning and deep learning) and to equip AI systems overall with more intelligence for everyday use in the areas of cognitive, sensor-motor, emotional and social intelligence. He is the author of more than 120 publications in journals, books and peer-reviewed conferences. In 2011 he won the German High Tech Champion Award. Daniel Sonntag canvasses and leads several DFKI research projects with national and international consortium partners such as Radspeech, Cognit, Clinical Data Intelligence, Intera-kt, and several EIT projects in the field of cyber-physical systems and is co-editor of the KI journal of our GI department. He gave the following presentation at his award ceremony: "Multimodal-Multisensor Interfaces in Industrial and Medical Application Domains”. On December 8, 2014, Dr. Jan Alexandersson received the DFKI Research Fellow award for his outstanding scientific work in the fields of speech technology and intelligent user interfaces, especially in the fields of Multimodal Dialogue Systems and Ambient Assisted Living. Dr. Jan Alexandersson graduated in Computer Science (MSc) from the University of Linköping, Sweden, in 1993. Initially he worked for 6 months in the DISCO project in the DFKI research area Language Technology, before moving to the Intelligent User Interfaces research area to work as a research assistant in the BMBF joint projects Verbmobil and SmartKom. Mr. Alexandersson received his doctorate from the University of Saarland in 2003. From 2004 - 2009 he worked in the EU projects AMI/AMIDA. He acquired and coordinated the EU project i2home (FP6; 2006 - 2009) and worked in the EU project VITAL (2006-2010). Thereafter he acquired and managed the SensHome project as well as co-acquired and collaborated on the BMBF SmartSenior project. Since 2010 he is head of the competence center Ambient Assisted Living (AAL) at DFKI. He also acquired the projects MOBIA (BMBF; prize winner "Germany, Land of Ideas"), SIforAGE (EU), SUCH (Saarland), and Metalogue (EU). Jan Alexandersson is a member of the editorial group of the ISO project N442 "Dialogue Acts". He is co-founder of the OpenURC Alliance e.V. and its president since 2011. He gave the following lecture to mark his award: "Setting Standards – from Blue Sky to Applied Research and back again!”. Dr. Feiyu Xu was named as a DFKI Research Fellow on 28 October 2014 for her outstanding scientific work in the field of language technology. Dr. Feiyu Xu studied Computational Linguistics at Saarland University and obtained her doctorate in Information Extraction in 2007. She is a senior researcher in the language technology research group at DFKI and manages the text analytics and information extraction group in Berlin. As a scientific project leader she has led the projects COMPASS2008, RASCALLI, Theseus Alexandria, KomParse, Deependance, Sprinter, and MEDIXIN. She has also participated in numerous other research projects at national and international level. Since 2004, Dr. Xu has been intensively researching machine learning techniques for domain-adaptive relational extraction and text analytics technologies for large amounts of data. In 2013, together with Prof. Hans Uszkoreit and Prof. Roberto Navigli, she received a Google Focused Research Award for "Natural Language Understanding". Feiyu Xu is the (co-)author of more than 70 publications in journals, books and peer-reviewed conferences. She has been a member of the programme committees of international conferences and is a regular reviewer for scientific conferences and journals. In addition to her research activities, Dr. Feiyu Xu is co-founder of the DFKI spin-off company Yocoy Technologies GmbH, which develops digital language guides, cultural guides and travel guides as mobile apps. She held the following lecture at her award ceremony: "Domain Adaptive Relation Extraction for Big Text Data Analytics”. In recognition of his exceptional scientific achievements and their implementation in industrial practice at the Institute for Business Informatics (IWi, headed by Prof. Loos) at the DFKI, Priv.-Doz. Dr. Peter Fettke was named a DFKI Research Fellow on 25.10.2013. Mr. Fettke has an excellent scientific record with 28 journal articles, 54 conference publications and 10 book chapters, which was also endorsed by two external experts. Over the past three years, he succeeded in acquiring and managing projects with considerable project volumes for the DFKI. Dr. Geert-Jan Kruijff was named a DFKI Research Fellow on 15 April 2013 for his outstanding scientific work in the field of language technology. Dr. Kruijff is a senior researcher and project manager in the DFKI research area language technology. Since 2004 he has led various projects in the field of human-robot interaction. “During this time, we have been able to build up a large group of linguists with a special focus on robots that communicate – the so-called Talking Robots Group,” says Dr. Kruijff. In his presentation on the occasion of the appointment, Dr. Kruijff presented the progress made over the last 8 years in the development of new scientific approaches and technologies for the development of talking robots: Robots that can interact with humans via speech, e.g. to report about the concrete environment around them or to understand voice commands. In recognition of his exceptional scientific achievements, Dr. Christian Müller was honored with the title of “DFKI Research Fellow”. Dr. Müller is a scientist at the DFKI research department Intelligent User Interfaces and head of the Automotive Group. As the so-called “Action Line Leader Intelligent Mobility and Transportation Systems”, he is primarily responsible for the program of the European “Knowledge and Innovation Community” EIT ICT Labs with partners such as Deutsche Telekom, Siemens, SAP, Nokia, Ericsson, Philipps, France Telecom and Telecom Italia, as well as leading universities and scientific institutes. Together with mechatronics professor Michael Vielhaber, he heads the “Future Workshop Mobility”, a research and test platform of Saarland University and the DFKI that focusses on innovative information and communication technologies for tomorrow's mobility. Dr. Müller received his doctorate from Saarland University in 2005 and completed a two-year postdoctoral program at the renowned University of California Berkeley as a scholarship holder from 2006 to 2008. He is the author and co-author of numerous scientific publications and has received several awards for his work. Christian Müller was appointed DFKI Research Fellow on 04 October 2012. Upon his appointment, he gave the following lecture [German only]:"Von der Mensch-Maschine-Interaktion zur Mensch-Maschine Kooperation: Neue Herausforderungen für Automobile intelligente Benutzerschnittstellen?". Dr. Alexander Kröner was appointed DFKI Research Fellow for his groundbreaking scientific work in the field of Adaptive User Interfaces and his particular achievements in technology transfer. Dr. Kröner is a graduate of Saarland University and has been working for the DFKI research area Intelligent User Interfaces since his doctorate in 2000 under the direction of Prof. Dr. Dr. h. c. mult. Wolfgang Wahlster. The adaptation of computers to the requirements of their users is the focus of Dr. Kröner's research activities. At the beginning of his scientific career, he designed knowledge-based methods for automatic layout design for print media and websites. He used the resulting concepts to develop user interfaces for mobile scenarios and instrumented environments. Kröner has developed this focus into a research line that deals with the development and use of digital memories. Results from national and European projects such as SPECTER, SharedLife, SemProM, and RES-COM form a comprehensive overall picture of this topic, which today is regarded as a building block of so-called cyber-physical systems. The workshop on Digital Object Memories, co-initiated by Mr. Kröner in 2009, has developed into a discussion platform on an international level, the outcomes of which were trend-setting for a proposal for the standardization of the structure of object memories developed under the auspices of the World Wide Web Consortium. Alexander Kröner was appointed DFKI Research Fellow on 13 August 2012. To mark his appointment, he gave the lecture: "Digitale Gedächtnisse für Menschen und Objekte". Prof. Dr. Thomas Rist studied computer science at the University of Saarland, received a degree in computer science in 1988 and received his doctorate in 1995 from the Technical Faculty. He joined the DFKI GmbH in 1988, initially as a research assistant and later as a senior researcher. In 2004 Thomas Rist took over a professorship at the Augsburg University of Applied Sciences, where he has since represented the fields of human-machine interaction and artificial intelligence. Thomas Rist was honored as a DFKI Research Fellow on June 1, 2004. PD Dr. Matthias Klusch works in the research group Multiagent Systems at the German Research Center for Artificial Intelligence (DFKI) in Saarbrücken. He is also a visiting lecturer in Computer Science at Saarland University and Associate Professor of Computer Science at Swinburne University of Technology in Melbourne, Australia. Matthias Klusch received his doctorate from Kiel University in 1997, his habilitation in computer science from Saarland University in 2009 and worked as a postdoctoral researcher at Carnegie-Mellon University (USA) and as an assistant professor at the Free University of Amsterdam (Netherlands) and Chemnitz University of Technology. Since May 1999 he is Senior Researcher at the DFKI in the research area Deduction and Multiagent Systems (Agents and Simulated Reality, since 2008) and head of the research team Intelligent Information Systems (FG Multiagent Systems). His scientific work focuses on the theory and application of semantic technologies and intelligent agents for the Internet of Services and Information Systems. As part of his work at DFKI, he acquired and managed a number of research and development projects at regional, national, European and international level, as well as with industry partners. He is co-founder and steering committee member of the German conference series on multi-agent systems (MATES) and co-editor of the scientific journals Web Semantics, Cooperative Information Systems, Semantic Web and Information Systems, Web Intelligence and Agent Systems and Applied Decision Sciences. Since 2010 he is member of the scientific advisory board of the Research Center for Intelligent Information Technologies (CETINIA) in Madrid, Spain. Matthias Klusch was also the long-standing coordinator of the first European Research Group on Intelligent Information Agents on the Internet (in the FP7 research network AgentLink, 1998 - 2004) and of the international workshop series on the same topic (CIA, 1997 - 2008) and, among other things, Program / Vice Chair of the 6th IEEE Conference on Intelligent Agent Technology (IAT 2007) and the 6th International Semantic Web Conference (ISWC 2007). He has been a member of more than 140 programme committees and is a project reviewer for national research funding institutions such as NSERC (Canada), FWF (Austria), FNSNF (Switzerland), RGC (China) and NWO (Netherlands). For his scientific contributions he was nominated in 2008 for the ACM SIGART Award for Excellence in Autonomous Agent Research . He has published 27 books and over 130 articles in the fields of agent technology, intelligent information systems, game theory negotiations, semantic web and services, and quantum internet. Matthias Klusch was named a DFKI Research Fellow on 9 July 2003. Dr. Klaus Fischer studied computer science at the Technical University of Munich. He worked from 1986 to 1991 in a joint project of the special research department “SFB 331: Information Processing in Autonomous, Mobile Handling Systems” at the Computer Science Department of the TU Munich. In 1992, he received his doctorate in “Distributed and Cooperative Planning in a Flexible Manufacturing System”. Since 1992 he has been a staff member of the multi-agent system group at the DFKI in the research area Agents and Simulated Reality. He has been head of the group since 1993 and deputy head of the research department since 1996. Klaus Fischer has led numerous research and industrial projects and has been a member of the German Interest Group for Distributed Artificial Intelligence since 1989. From 1992 to 1993 he organized their mailing list and from 1995 to 2000 he was spokesman for this group. Klaus Fischer was named a DFKI Research Fellow on 18 June 2003. Dr. Mathias Bauer is Managing Director of the DFKI spin-off Mineway GmbH in Saarbrücken. Mathias Bauer was honoured as a DFKI Research Fellow on 06 May 2003. Prof. Dr. Dieter Hutter originally studied computer science at the University of Karlsruhe, where he graduated in 1983 and received his doctorate in 1991 on the automation of induction proofs. From 1991 to 1994 Dieter Hutter worked at Saarland University as project manager of the VSE project, developing a tool for formal program development. Since 1994 he has led various projects at the German Research Center for Artificial Intelligence and has been a Principal Researcher since 2000. He joined DFKI Bremen in 2008 and has been an honorary professor at the University of Bremen since 2009. One focus of his scientific work is not only the correctness of programs, but also their security against attacks from outside. This involves the automated collection and control of information flows within and between programs, which can help ensure both the confidentiality and integrity of information. Dieter Hutter managed and acquired numerous projects for the DFKI (BMBF, DFG, BSI, ...) and is co-initiator of the DFG focus program “SPP1496: Reliably secure software”. He is also a member of the Editorial Board of the Journal of Applied Logic, the Editorial Board of the Journal of Data Protection and Security and, since 1994, a Visiting Fellow at the University of Edinburgh. Dieter Hutter was named a DFKI Research Fellow on 16 November 2000. To mark his appointment, he gave the following presentation: „Strukturierungsmittel zur Behandlung komplexer Beweisaufgaben“. Prof. Dr. Stephan Busemann studied computer science at the TU Darmstadt and the University of Hamburg, graduating there in 1984. From 1985 to 1986, he worked for the University of Hamburg on the generation of natural language dialogue contributions in the HAM-ANS system. As an employee of the TU Berlin, he worked from 1986 to 1990 on an implementable version of generalized phrase structure grammars and, building on this, on sentence generation for machine translation. In 1990 he received his doctorate from the University of Saarland on the topic "Generation of natural language with generalized phrase structure grammars". In the same year he became employee and project manager at the DFKI in the field of language technology (at that time computational linguistics) and dealt with the generation in constraint-based dialogue systems. In 1992 he took up a deputy professorship at the University of Hamburg. Since 1994, Stephan Busemann has been responsible for the content and technical aspects of projects on dialogue processing, text generation, information extraction, text classification (BMBF, EU) and the design and implementation of robust, application-oriented and adaptable language technologies. Since 1998 he has independently acquired research and development projects at EU, BMBF and BMWi. Mr. Busemann's responsibilities also include the coordination and management of projects as well as the lead acquisition of industrial orders. Stephan Busemann has been Deputy Head of the Language Technology Research Unit since 1999. He regularly participates in teaching at various universities (TU Berlin, University of Hildesheim, University of Hamburg, University of Saarland). As of 2011 Stephan Busemann is also an honorary professor of Computational Linguistics at Saarland University. On 26 September 2000 Stephan Busemann was appointed DFKI Research Fellow. Upon his appointment, he gave the lecture"Flache Verfahren zur Textgenerierung". Dr. Norbert Reithinger studied computer science with a focus on pattern recognition at the University of Erlangen-Nuremberg before gaining his doctorate in multimodal generation at the University of Saarland. In 1993 he joined the DFKI in the research area Intelligent User Interfaces and led research projects in the field of multimodal dialogue systems. As scientific project leader Norbert Reithinger was involved in projects such as VERBMOBIL, SmartKom, VirtualHuman and SmartWeb, as well as in numerous other research projects on a national and international level. Norbert Reithinger is (co-)author of more than 50 articles in journals, books, and peer-reviewed conferences. He has been a member in many programme committees of major international conferences and is a regular contributor to scientific journals. In 2007, Mr. Reithinger became director of the newly founded DFKI project office in Berlin, where he is responsible for projects in the areas of HCI, multimodal interaction and AAL applications. He is also the DFKI's contact for the German node of EIT ICT Labs. Norbert Reithinger was appointed DFKI Research Fellow on 12 July 2000. He gave the following lecture at his award ceremony: "Experiences from Verbmobil". PD Dr. Werner Stephan studied computer science at the University of Karlsruhe, where he received his doctorate in 1981 and his habilitation in 1990. In 1993 Werner Stephan became head of the research department Formal Methods/Security at the DFKI in Saarbrücken and since 1997 he has been a private lecturer in the Department of Computer Science at Saarland University. In 1999 he became Principal Researcher at DFKI. His research focuses on the basics and tools of formal program development, verification techniques, security modeling – in particular modeling and verification of cryptographic protocols and information flow –, interactive evidence generation, security analysis and certification. 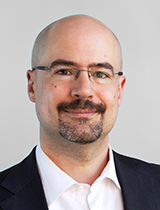 Werner Stephan has acquired and managed several DFKI research projects such as payment security (FairPay), end-to-end formal development (Verisoft) and, since 2005, verification of passport and passport protocols. Werner Stephan was named a DFKI Research Fellow on 25 October 1999. He gave the following presentation to mark his award "Sichere Software". Prof. Dr. Elisabeth André studied computer science and mathematics at the University of Saarland and graduated there with a diploma on a generation system for the automatic annotation of football matches. When the German Research Center for Artificial Intelligence in Saarbrücken was founded, she led several projects in the field of "Intelligent Multimedia User Interfaces". In 1995 she wrote her doctoral thesis on "A plan-based approach to the generation of multimedia presentations". In 2001, she was appointed to the newly established Institute for Computer Science at the University of Augsburg, where she has held the chair for Human-Centered Multimedia ever since. Prof. Dr. Elisabeth André specializes in human-machine interaction. On the one hand, the aim is to counter increasing complexity, heterogeneity and networking of technical systems so that they remain transparent and controllable for human users in the future. On the other hand, she strives to achieve significant synergies with regard to intuitive operability by providing natural interaction modalities (gestures, facial expressions, eye movements and haptics). The list of numerous prizes and awards to which the computer scientist can draw upon includes the European Information Technology Innovation Award (IT Prize), 1995, the RoboCup Scientific Award, 1998, and the Alcatel-Lucent Fellowship at the International Centre for Cultural and Technological Research at the University of Stuttgart (IZKT), in 2007. In 2010, Elisabeth André was appointed a member of the “German Academy of Sciences Leopoldina” and elected to the Academia Europaea. She was also included in the Excellence Database "AcademiaNet". Elisabeth André was named a DFKI Research Fellow on 14 June 1999. To mark her appointment, she gave the presentation "Von Direkter Manipulation zu natürlicher Interaktion mit animierten Agenten". PD Dr. Günter Neumann studied Computer Science, Artificial Intelligence and Computational Linguistics at the Universities of Regensburg, Koblenz-Landau and Saarbrücken. He received his doctorate in computer science at Saarland University in 1994 and his habilitation in computer linguistics in 2004. Since May 1992 Dr. Neumann has been working as Principal Researcher at the DFKI. In addition to publishing numerous scientific publications, he and his team successfully participate in international scientific competitions. The central research interest of Mr. Neumann lies in the field of natural language controlled human-machine interaction. Major research focuses include machine learning methods for language technology, web-based question-answer systems and textual inference. Dr. Günter Neumann became a DFKI Research Fellow on 03 May 1999. At the naming ceremony he gave a lecture on the subject of "Intelligente Informationsextraktion - Technologien & Anwendungen". Dr. Klaus Netter studied linguistics at the University of Munich and the University of Reading (GB) before joining the Institute of Phonetics at the University of Munich. In 1985, he moved to the Institute for Machine Language Processing at the University of Stuttgart, where he mainly dealt with innovative approaches to machine translation. After founding the German Research Center for Artificial Intelligence, he was employed there from 1990 - 2000, serving as a Principal Researcher, Project Leader and Deputy Research Department Leader during this period. He received his doctorate in Computational Linguistics from the University of Saarland. In 2000, Dr. Netter and his partners founded Xtramind Technologies GmbH, which was later taken over by Living-E and the Attensity Group. Dr. Netter established in 2005 the DNC Dr. Netter Consulting GmbH and, among other things, develops innovative systems in the field of information management and intelligent search. Klaus Netter was named a DFKI Research Fellow on 19 April 1999.